The 1905 Australasian Championships, as they were called back then,was a tennis tournament played on Grass courts in Melbourne, Australia at Warehouseman’s Cricket Ground. 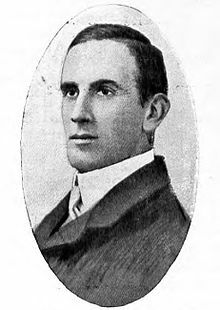 The tournament took place from 17 November through 27 November 1905. It was the inaugural edition of the Australasian Championships and consisted of a men’s singles and men’s doubles competition. The men’s singles event had a field of 17 players and was won by Australian Rodney Heath. The first Championships for women were held in 1922. The site rotated between Melbourne, Sydney, Brisbane, and Adelaide until 1988, when the tournament was permanently settled at the hard courts of Flinders Park, which was renamed Melbourne Park in 1996. 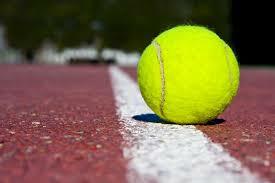 (The switch to hard courts in 1988 left Wimbledon the sole major grass-court tournament in professional tennis.) Although Australians often dominated the field of tennis internationally, the Australian tournament for many years suffered from the reluctance of overseas players to travel the long distance to compete, a situation largely remedied with the advent of jet travel. The tournament is played in January. The Australian Open has always been held in January, but 1977 was the only year when the tournament was held twice in one calendar year. This was due to a shift in the Australian Open draw and the subsequent tournament to December. As a result, there were two tournaments in 1977 and the December schedule the continued until 1987 when normality was restored. In 2011 I decided to start Tennisarchives.com. I wasn’t really happy with existing sites, especially on pre 1968 Tennis. In that year Pro tennis finally won over the amateur game. For results and info post 1968 there are several good sites, Like ATP. Much has happened since the start of this site. The original builder suddenly died and all the info was saved at the very last moment. At first I did all the work on my own, but very soon David Donlon from the U.S. came to help me. The last years there is a group of loyal correspondents that are contributing with results, biographies, pictures etc. To name a few: Mark Ryan, Alexander Schwarz, Carlo Colussi, Roland Mittelberger and many others. Former players and their families often write and add info as well. Peter Steevensz is the man behind the scenes who built the site and keeps it running! It’s great to see many tennis enthousiasts using and enjoying the site so much! Wikipedia uses Tennisarchives as an important source very often. For me it has always been important to keep the site free. Some sites tried to copy my site, using my results and then ask money to use all the info. I will never consider doing that! The info is free and stays free. But running a site like this isn’t free from costs. The site itself, the domain, the travels to libraries like Wimbledon, it all costs. My time I spent freely because I love doing it. And I would love to keep the site free from adverts. 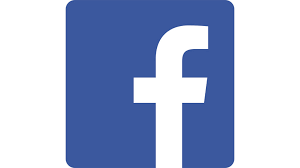 So before they will appear on this site I will try to get a little support from you, the user. 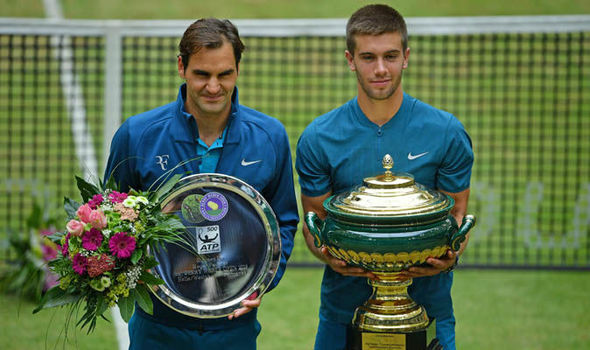 Borna Coric entered the Gerry Weber Open with just two wins in nine tour-level matches on grass, but, on Sunday, he lifted his first title on the surface, defeating nine-time champion Roger Federer 7-6(6), 3-6, 6-2. Coric, who also beat second seed Alexander Zverev in the first round, snapped Federer’s 20-match win streak on grass after two hours and six minutes, hitting 11 aces and saving three of four break points en route to his second tour-level title (2017 Marrakech). The 21-year-old saved two set points at 4/6 down in the first-set tie-break and secured the only break of the deciding set, in the sixth game, en route to victory. Coric has now won 24 of 34 tour-level matches this season. Federer, who owned a 2-0 record against the Croatian heading into the championship match, was aiming to win a 10th title in 12 finals at the event and retain his status as World No. 1 in the ATP Rankings. As a result of his three-set loss to the Croatian, Rafael Nadal will return to the top spot of the ATP Rankings on 25 June. 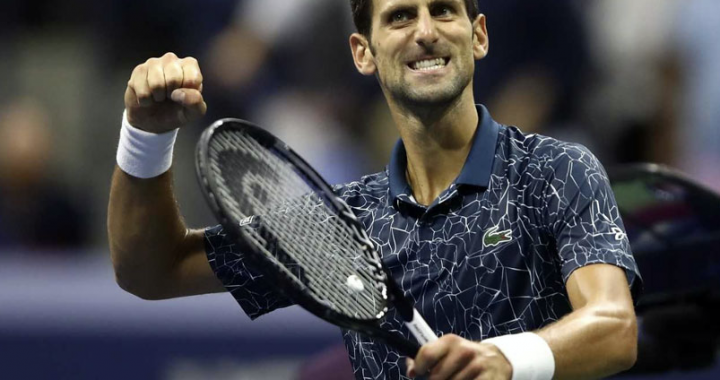 There is something gnawing away at Novak Djokovic a week before Wimbledon and, if it was just losing against Marin Cilic in the final of the Fever‑Tree Championship, he might return from a few days at home in Monte Carlo refreshed and ready to go again. 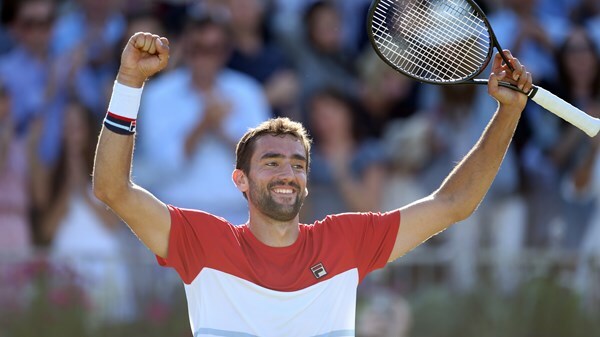 It was tough to tell, though, as his voice dipped in the immediate aftermath of Cilic’s 5-7, 7-6 (4), 6-3 win in just under three hours on a warm Sunday afternoon at the Queen’s Club. 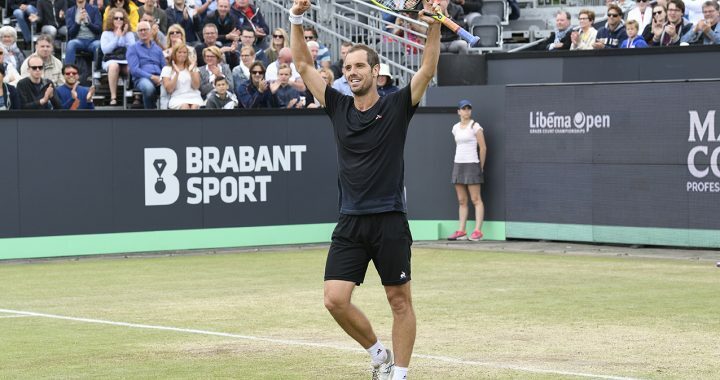 Richard Gasquet defeated French compatriot Jeremy Chardy to win the Libema Open at Hertogenbosch. The world No. 30 was in scintillating form in the final, showing the grass court prowess that has taken him to two Wimbledon semi-finals on his way to a 6-3, 7-6 (5) win. Roger Federer celebrated his return to the top of the world rankings by beating Milos Raonic 6-4 7-6 (7-3) to win the Mercedes Cup in Stuttgart. The Swiss, playing his first tournament since March after skipping the clay-court season, beat Canadian Milos Raonic for his 98th career title. 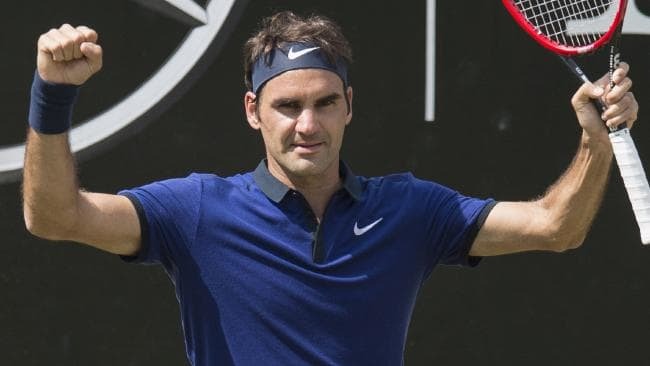 His run to the final in Germany ensured he usurped previous world No 1 Rafael Nadal at the top of the ATP rankings, and if he wins in Halle next week – a traditional Federer stronghold – he will arrive at Wimbledon in July looking for his 100th title on tour. 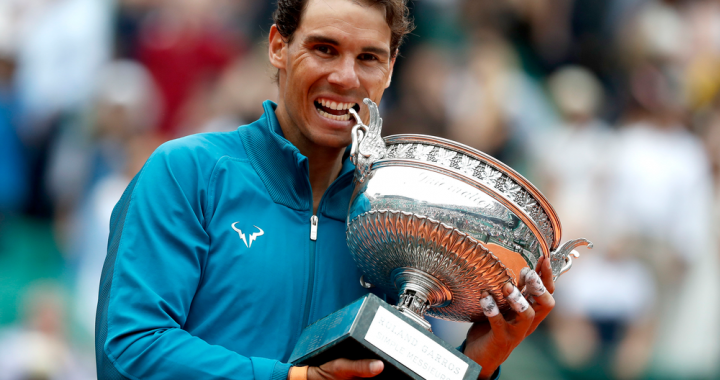 Though it seems the right thing to do at this stage, there is no plan to retire the Coupe des Mousquetaires, the trophy that goes to the winner of the men’s singles title at the French Open. Rafael Nadal has all but taken permanent possession of it, hoisting it high and biting down on its handle for the 11th time after defeating Dominic Thiem, 6-4, 6-3, 6-2, in the final on Sunday. But the French are, in a sense, retiring the historic stadium in which Nadal has established his historic dominance. Almost immediately after Thiem’s last return had flown long, the attendants in the tournament’s longstanding press room inside the Philippe Chatrier Court were distributing hard hats and colored markers to reporters and others for their demolition party. Much of the Chatrier Court, the main showplace at Roland Garros, will be demolished and rebuilt in the next 10 months to prepare for the installation of a retractable roof by 2020.